JANDA’s Gun Welders come complete with specific weld gun to meet your requirements and all components interconnected and ready for installation or installed on an optional Boom Station. 10’ high with 8’ I-Beam that will rotate 180 degrees. 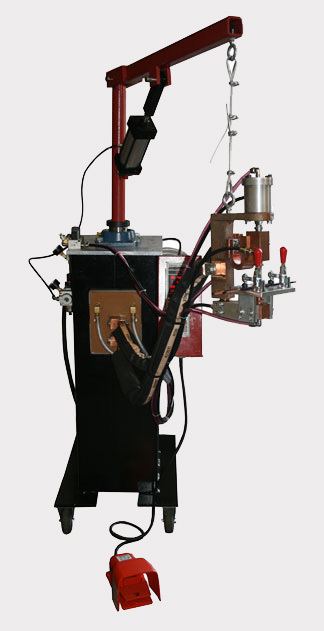 Weld transformer and weld control are mounted on upright and interconnected. Reel type balancer is mounted on trolley to allow gun to move in-out. All components are mounted onto Boom station and interconnected.